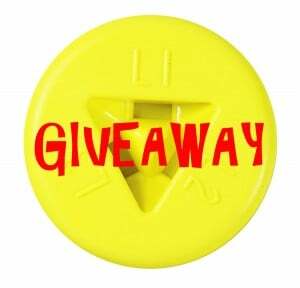 Many of you may already know our story, but for those who are unfamiliar or new to the HumpDay blog, I wanted to take an intermission this week to talk about what we're about and why electrical safety is so important to us. Grace's mission is a simple one: To keep people away from live voltage. Well, what does that mean to you? As I'm typing this and you're reading it, our lives are simultaneously being impacted by electricity. That means at some point a person will be responsible for that electricity's maintenance. It is that person's wellbeing that we care about because he or she is responsible for maintaining the current that supplies our livelihood, resources, production; you name it. So Grace makes products that make that person's job safer, more efficient, and with a greatly reduced risk of an arc flash occurrence. Fire Engineering magazine describes an arc flash as "an electrical release of energy hotter than the surface of the sun and capable of exploding with the strength of eight sticks of dynamite...A shark attack receives front page coverage in the newspaper; an arc flash fatality doesn’t make the news at all." According to an OSHA study on arc flash statistics, "As much as 80% of all electrical injuries are burns resulting from an arc-flash and ignition of flammable clothing...the average electrical accident costs $750k. The National Safety Council estimates work-related injuries can cost businesses well over $30M in fines, medical costs, litigation, lost business and equipment costs." I moved into my new home in late April. I closed on a Friday so I had the whole weekend to get my things moved. Being the naïve new homeowner that I am, I did not call the utility companies in advance to this. Water and gas were on to the house, however, the electricity was off, therefore, no hot water, lights, internet, phone chargers, and pretty much all the things my generation needs to "survive". I called and pleaded to have somebody show up last minute. Didn't happen. Best they could do was Monday. It's an eerie feeling when you don't plan to not have electricity for a weekend. There are so many norms in our day to day lives we don't even think about that are affected by electricity. I found myself walking into a room and flipping a light switch, being mildly confused for a moment why nothing happened. So what do we do? We're humans, we adapt. I bought some candles and pretended like I was living in the 19th century for a few days. I recall my girlfriend's mother telling us to be safe with the candles and, "Don't burn the house down!" Meanwhile, my home, built in 1945, has knob-and-tube wiring cobbled together with Romex wiring by nothing less than what I assume was a do-it-yourselfer homeowner at some point. I am reminded of this because before I began my career here at Grace, I would have likely put very little thought into electrical safety. Like my girlfriend's mother associating a candle with a potential fire hazard, I was much more aware of fire safety than electrical safety. And if I'm a normal person (back me up, friends), then probably most people outside the industry are unaware or think little about electrical safety. With this in mind, I want to start a segment on HumpDay called Not Safe For Work [NSFW] where we'll highlight electrical safety in the workplace with a relevant article, news report, user submissions, or just general safety tips with the goal of making people more conscious of electrical safety. This week's [NSFW] will focus on money. Why? 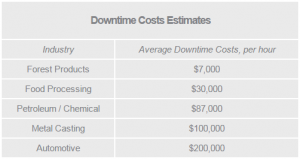 Because time is money, and downtime is money being wasted. Grace's product lines seek to reduce the downtime required for performing electrical maintenance by making the procedure safer, and therefore, faster. Learn more about how investing in electrical safety training is the best insurance money can buy at our sister website, The Current Monitor. tl;dr - Grace's mission is to keep people away from live voltage. 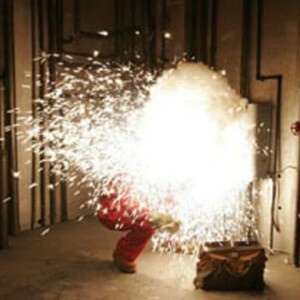 Arc flashes are very hot and powerful and can result in injury or death. They can also cost businesses a fortune in fines, medical costs, litigation, lost business and equipment costs. This week, HumpDay is launching a segmented campaign for electrical safety awareness called Not Safe For Work [NSFW].